We began teaching in the month of January every Sundays with one Ekjaaite initially. 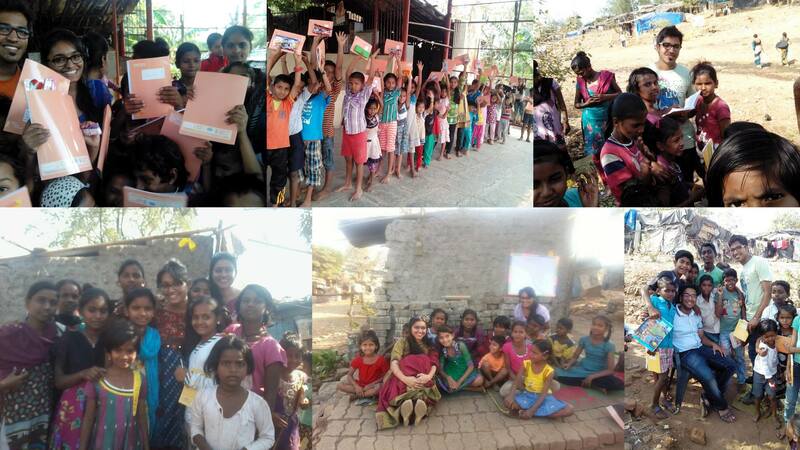 The first place we decided to target were the slums of Jamrushi Nagar,Pathanwadi located in Malad(East), Mumbai. The children in that area go to municipality schools and hence their knowledge for English/Spoken English is very poor. Basics of English were taught and then slowly week after week the level was increased. By the end of January two more Ekjaaites Prateek Jain and Anshul Agrawal joined in. There were total three now, so teaching was even more fun. The Ekjaaites taught the mad way, it was teaching with tang of fun activities. 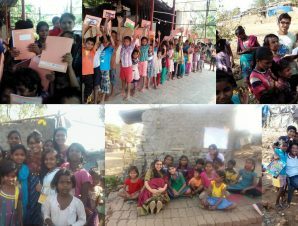 After a few months, we came up with a new place in Goregaon(East) again where the kids went through the same problem. Soon work began there and Sakshi Jain also joined as Ekjaaite, with the increase in the number of Ekjaaites there has been additional 2 places where we expanded. All the children in the adjoining vicinity area have also joined English classes. We make it a point that along with English we inculcate general knowledge, math, science and social manners in the children that will help them develop with time. In both the locations, Ekjaa Foundation took care that all the kids receive basic stationery required for learning. There are plans to start Digital Literacy i.e. basic computer education for the same kids in near future.